Vital oils! Nutri calcium! Pure milk protein! Weightless fruit oils! Creating substance from within! Shampoos aren’t shy when it comes to trumpeting their rarefied ingredients and “proven” results. But do your tresses really benefit from these treatments? In simpler times, choosing what to wash your hair with was a straight-forward decision. 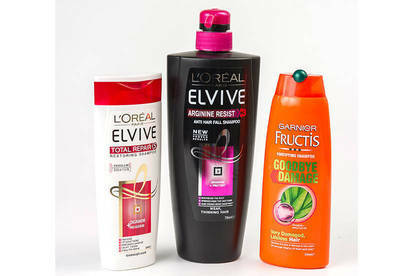 Now, there are shelves full of products claiming they can revitalise your locks. Or, as Clairol Herbal Essences Replenishing Shampoo boasts, go back to that "amazing hair day". The shampoo promises to embrace you like a meadow of fresh flowers and take your hair to a place it’s never been before, “deeply quenched, radiantly restored and naturally flowing”. Behind the welter of claims, you’ll find the main ingredient in most shampoos is water followed by detergent. If you just want something to clean your hair, any shampoo will probably do. Check out shelves shilling shampoos and you’ll quickly notice botanical ingredients, preferably with an obscure name or links to a far-flung country, are a popular choice for manufacturers. 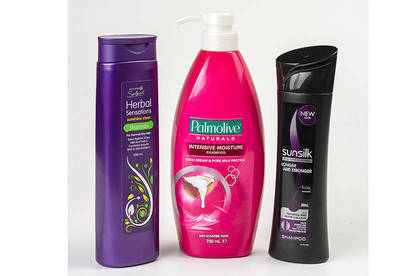 Sunsilk Co-Creations Longer and Stronger states it contains “rooibos and nutri calcium”; Palmolive Naturals Intensive Moisture Shampoo packs “coco cream & pure milk protein”; Woolworths Select Herbal Sensations Sunshine Clean Shampoo would put some fruit salads to shame with its “acai fruit & cranberry extracts”. While the ingredients sound enticing, do they help get your locks in tip-top condition? Cosmetic chemist Perry Romanowski doesn’t think so. “The reality is that there is little evidence that even if botanicals and vitamins were put in formulas at high levels that they would have any benefit. These ingredients are added simply to support the marketing story,” he says. Shampoo companies don’t have to list the concentrations of botanical ingredients on the bottles. But they must rank ingredients by concentration and botanical ingredients can turn up near the bottom of the list. We asked five shampoo manufacturers how much botanical ingredients went into their shampoos. All but one refused to provide the information, claiming it was confidential. Only Countdown provided a figure. A spokeswoman says acai fruit and cranberry extracts makes up 0.05 percent of its Woolworths Select Herbal Sensations Sunshine Clean Shampoo, adding the product doesn’t claim the extracts will do anything to make your hair shine. Bottom line: Don’t assume an advertised botanical ingredient will be present in large concentrations or have any impact on your hair. If your hair is dry, dull or just an all-out disaster, you don’t have to look far for a shampoo or conditioner promising to repair the damage. Dove Hair Therapy Damage Solutions Intensive Repair Shampoo says it “repairs at the cellular level, and helps prevent split ends and breakage”; Sunsilk Co-Creations Damaged Hair Reconstruction claims “this creamy formula allows optimal coverage of hair, to repair damage in every section of the hair strand”. 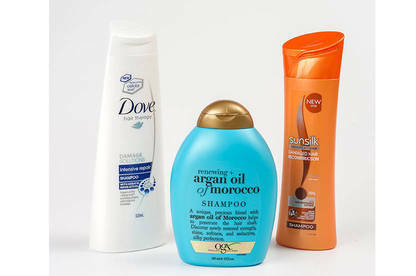 Manufacturer Unilever says its claims are backed by research and testing and the details are available to regulatory bodies on request. However, hair isn’t alive and you can’t reverse existing damage. Perry Romanowski says there’s no product that can “return the hair to the condition that it was when it came out of the hair follicle”. What shampoos do is make your hair feel soft and look shiny. “Any conditioner will be able to do this,” Perry says. We also found products advertising protection against sun damage. Renewing + Argan Oil of Morocco Shampoo claims it “helps to penetrate, moisturise, revive and create softness and strength while helping to protect your hair from harmful styling heat and UV damage”. OGX Beauty, the manufacturer, says silicones and Argan oil help to protect against styling heat and the natural vitamin E in Argan oil “helps to protect against UV damage”. However, it declined to tell us the concentration of Argan oil in the shampoo. Bottom line: Pricey shampoos claiming they’ll repair your hair won’t necessarily do any better a job at cleaning than a regular shampoo. Several shampoos claimed benefits on the bottle that relied on more than just the shampoo to achieve. L’Oreal Elvive Arginine Resist x3 Anti Hair Fall Shampoo offers “proven results”, promising to make your hair “124% more resistant to damage after 3 weeks”. Fine print on the bottle reveals the claim is based on evaluation by 340 women, who used the shampoo with conditioner and a spray for nine days. Garnier Fructis Goodbye Damage Fortifying Shampoo claims it reverses “one year of damage in one week”. The small print says this claim is based on tests using shampoo, conditioner and a serum three times a week and subsequent evaluation of “softness and hair fibre surface state”. Other qualifiers can also be found in the fine print. L’Oreal Elvive Total Repair 5 Restoring Shampoo claims “L’Oreal Paris Laboratories have created the first** range enriched with cicamide + pro-keratin to fight damaged hair”. However, when you follow the trail you find it’s only a first for L’Oreal Paris. Bottom line: Don't rely on over-hyped claims on the front of the bottle. Look at the quality of the evidence for the claims. Many shampoos, especially those presenting themselves as natural alternatives, tout the “nasties” they are free from. But this doesn’t mean they are always free of controversial ingredients or allergens. Organic Care Dry Nourish Ultra Hydrating Shampoo lists nine substances the product is “free from”. 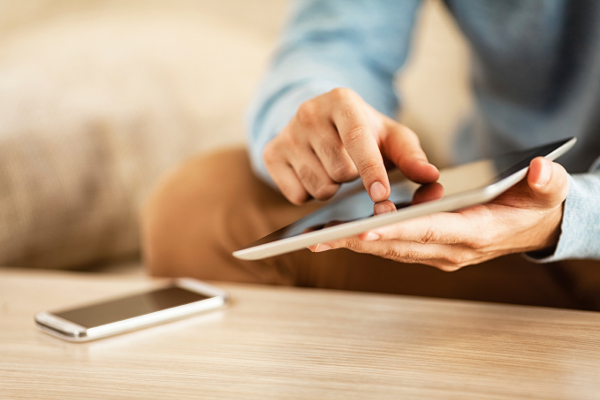 However, inspecting its ingredient list reveals two preservatives, methylchloroisothiazolinone and methylisothiazolinone. These are common allergens, only permitted in shampoos in low amounts. Just because an ingredient or product claims to be “natural” doesn’t mean it is always the safest choice for you or the environment. Environmental chemist Dr John Robertson says the term is essentially meaningless. Natural doesn’t necessarily mean better for the environment (crude oil, for example, is 100% natural) and nor does it mean something is safer for humans. The best thing for the environment, he says, is to use as little shampoo as possible. Bottom line: If you want to avoid potential irritants, check the ingredients list and don’t assume any shampoo labelled “natural” is automatically better. Water: for most shampoos, water is the main ingredient. Detergents: these are the chemicals that clean your hair and scalp. There are lots of different types. Common ones include sodium lauryl sulphate, sodium laureth sulphate, and cocamidopropyl betaine. Conditioning agents: these help make hair soft, shiny and silky, and are often silicone-based oils. 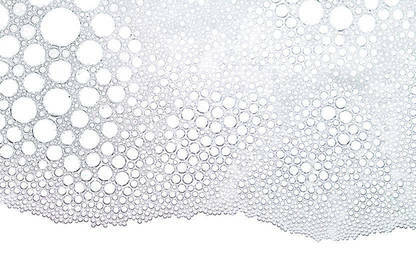 Thickening agent: this keeps the shampoo at the right consistency and is often just sodium chloride – ordinary table salt. Preservatives: these stop the growth of bacteria and fungi in your shampoo. Botanical ingredients or vitamins: all of these are usually present in very low concentrations. Fragrances: they’re used to make the product smell appealing but don’t do anything to clean your hair.